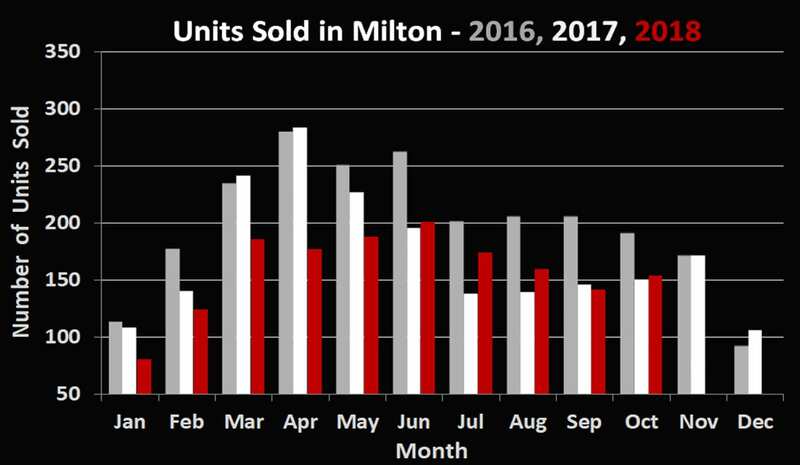 Milton’s 154 residential sales in October 2018 represent a modest increase of 2.0% in volume when compared year over year. The average price of $698,700 is up a healthy 4.6% when compared to the figure in October 2017. 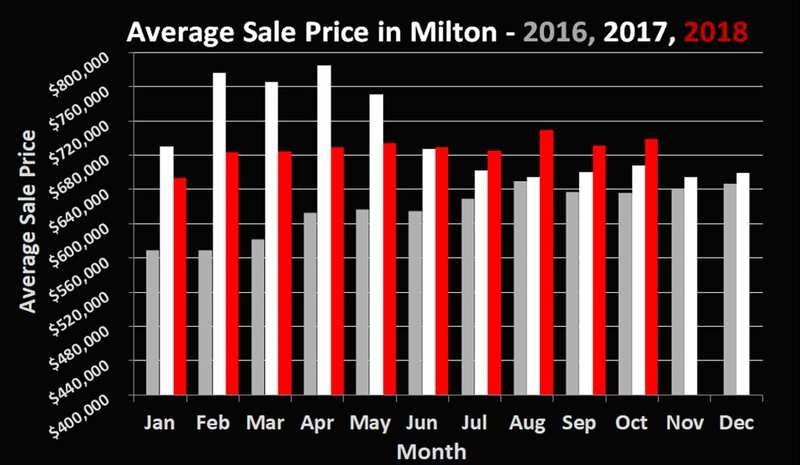 The market remains fairly balanced in terms of inventory with roughly 2.5 months worth currently available. A few weeks ago, the Bank of Canada announced yet another interest rate hike of 0.25% to their overnight rate (the 5th such rise since 2017). With the current overnight rate at 1.75% and the economic outlook being quite strong, it is expected we will likely see another series of rises next year, starting as early as January. As of today, big banks are still offering 5 year fixed rates around 3.6-3.7% to their preferred clients. Better rates can also be had with smaller institutions. The market is still currently quite active for both buyers and sellers with many people looking to make a move and lock in the current rates. Continued hikes should mean a more flat market next year with fewer transactions as affordability continues to be stretched. If you have any other questions about how the new rates and potential future rises may impact you, or about anything real estate related, don’t hesitate to give us a call. We’re never too busy to chat!